As promised, here is the second installation of “A Conversation with Greg Baroni.” Greg discusses who’s a part of his new team, how his past experiences at KPMG/BearingPoint and Unisys have prepared him for success as an entrepreneur, his predictions for the Oakland Raiders this year, and his ambitious vision for his new venture, Eclat Consulting. Check out the video version available here. ExecutiveBiz: What’s next for Eclat? Greg Baroni: For our company, we picked the name Eclat. It’s a French word that means “great reputation” and “brilliance of success”. Reputation and success drive respect, and the vision for Eclat is to be the most respected organization serving clients in the public sector market. We have challenged ourselves to leverage this initial platform from BearingPoint, and build a professional services company that achieves $500 million in revenue in five years. ExecutiveBiz: Can you talk about some other members of your team that have joined you? Greg Baroni: We have an incredible leadership team committed to the success of Eclat, its employees and our clients. John O’Neill and I worked together for years at KPMG and Unisys, and he joins as our CAO. Ron Salluzzo, a KPMG/BearingPoint alum and well known figure in the state and local government and education markets will lead those divisions for Eclat. Tim Kelleher, who will led our Federal business development efforts, spent twenty-plus years with AT&T and Booz Allen, followed by the last five years at Unisys. Mark Davis, who spent the last twenty-five years with KPMG/BearingPoint and was the inspiration for us to establish this company, will assume a divisional leadership role as well. And, we have brought over impressive talent from BearingPoint’s Public Sector practice, including Carl Ward, Mike Brookey, Sharif Ambrose, Marilyn Surbey and Wally Davis. This is a collection of impressive individuals, some of whom I have worked with for years. ExecutiveBiz: How have your past experiences helped get you to where you are now? Greg Baroni: Having spent the last twenty-seven years in large organizations, I’ve been blessed to have two very rich and altogether different experiences at both KPMG and Unisys Corporation. You might say ‘well now, how are you going to use that as a jumping off point to become an entrepreneur?’ Whether it was a partnership at KPMG or the large public company environment at Unisys Corporation, both required me to grow as a leader, and one of the critical dimensions of that leadership was being an entrepreneur. At KPMG/BearingPoint, it was a long development period, though at Unisys I was able to short cut that cycle. But, it really comes down to a pretty basic formula around pattern recognition — identifying the right talent, the right market opportunities, etc., while creating the right environmental conditions conducive for growth. Some people might say ‘well we’re coming out of a very bad recession right now’. While this is an accurate depiction of the market today, I like to fall back on something that I heard Herb Brooks say many years ago to his team in the 1980 Olympics as they were preparing to take on the hockey team from Russia in the medal round, only two weeks following a 10-0 crushing defeat at the hands of this very same team they were to face. What he said to them was, “Great moments in history are born of great opportunity.” So, while we are indeed facing a very difficult economic climate, it represents a terrific opportunity to do something insanely great, and that’s our plan for Eclat. ExecutiveBiz: I know you are a big sports fan, so what is your prediction with the Raiders this year? Greg Baroni: Oh my, the Raiders. It’s been twenty-five years since they have been in the Super Bowl, and while I’m a big gambler in terms of bold predictions and as much as I would like to see otherwise, I don’t think that this is their year. But, I am betting on my USC Trojans to find another championship, even with a freshman quarterback. ExecutiveBiz: Anything else that you would like to add? Greg Baroni: While everyone in this market has witnessed the rise and fall of BearingPoint, we at Eclat will represent the seeds of a potential rebirth – from the dust of ashes of the BearingPoint remains, we will rebuild a powerful professional services firm. Now, armed with the acquisition of the remaining assets (people and client contractual relationships) from BearingPoint, we at Eclat will have the opportunity to springboard this platform and realize the original vision and ambition outlined for ourselves back in the mid ’90s. ExecutiveBiz: How can people contact you? Do you have a website? What is the best way to reach out to you? 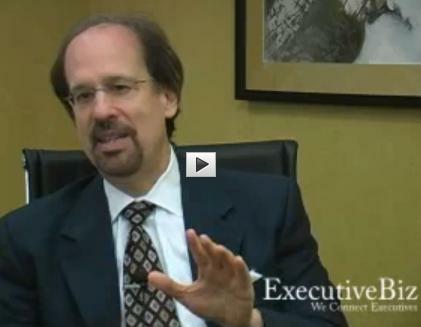 Greg Baroni: The best way to reach out to us is www.EclatLLC.com. I will tell you that the website is a ‘work in progress’, but that said, we are excited about folks reaching out to us.